The Fosse Way is a Roman road that extended for 231 miles from Exeter to Lincoln. It was built in the 2nd century as the Romans marched north to subjugate the Britons. In the 9th century the Danes used it to raid south from Chippenham and drive King Alfred into the marshes of West Somerset. The Anglo-Saxons called such a military road a herepath, here being their term for a foreign, ravaging army. Much of the Fosse Way has been paved over, but there are still traces of the older road, one of the most striking monuments of Roman road making in England. So, how did the Romans go about making a road? Fosse Way, with the ditch beside it. To begin with, they were laid out in short, straight lengths, in the line of sight from one high point to the next. You won’t see any curves in a Roman road. After the initial survey work was completed, labor gangs would have scooped up material to form a mound, leaving ditches on either side of the road for drainage. The Old English word for ‘ditch’ is foss, and that’s where the Fosse Way derives its name. Along the top of the road, layers of local materials like gravel, flints or small stones formed a compact surface. The most important roads were 24 feet wide. Lesser roads would have been anywhere from 15 to 18 feet wide. At the height of the Roman Empire, roads were built at the rate of one kilometer every day. The Fosse Way was lined by a string of forts, and it was built to provide, first and foremost, ease of communication and the quick movement of troops. But the Roman roads would also have been used to transport produce, to allow for the swift collection of taxes and to expedite administrative duties. There would have been a courier system that utilized rest houses and posting stations where horses could be changed. And it wasn’t only the legions that used the Roman roads. Travelers could find respite at privately owned hostel-like houses along the route; those with enough money could stay in pricier accommodations – the equivalent of a modern day b&b. Anyone traveling along the Roman roads would need to carry cash – not just for food and lodging, but also to pay the tolls along the way. 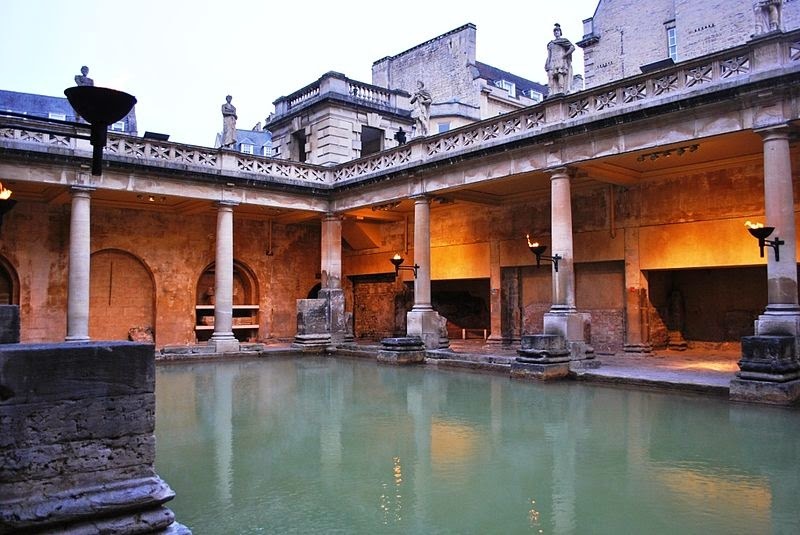 Journeying north for 79 miles from the Roman fortress at Exeter, a traveler would find himself in the town of Aqua Sulis. 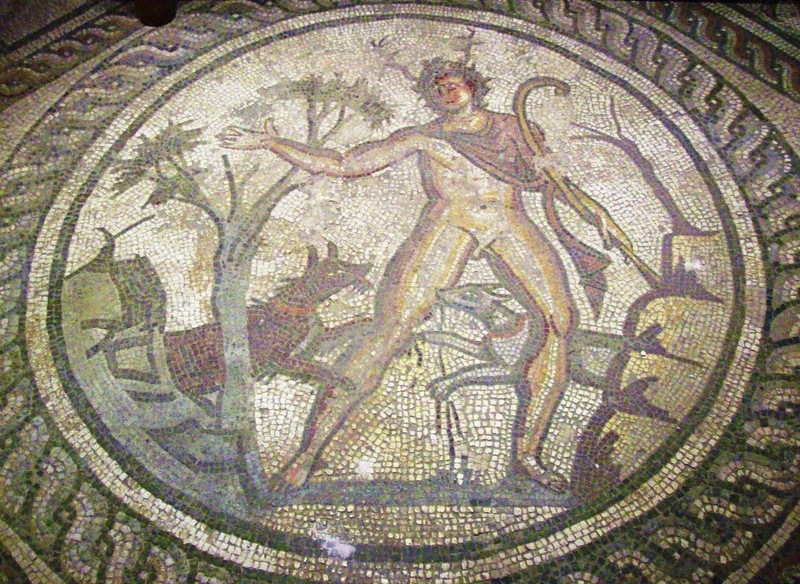 Sul was the Roman name for the goddess Minerva, and the Romans founded a massive sanctuary complex there in her honor. 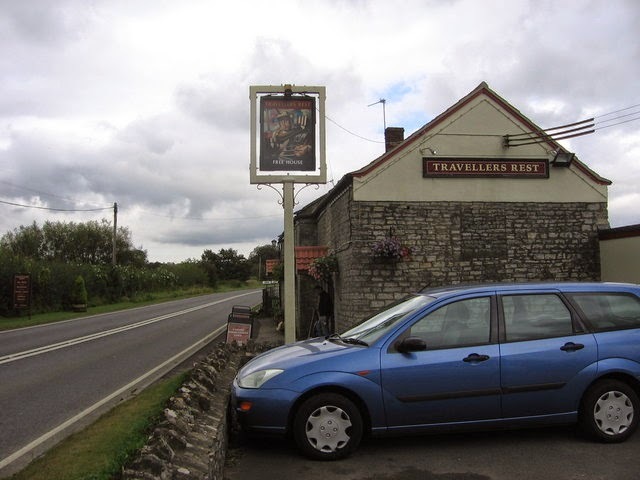 At least 8 temples, and perhaps more, were built along the Fosse Way as it ran through Aqua Sulis. It became a large and significant settlement, and inside its walls could be found houses of stone and timber, municipal buildings, paved streets, inns and bath houses. It was a celebrated place from the 5th to the 7th centuries. The Anglo-Saxons named it Bath, and one of the most beautiful Anglo-Saxon poems, The Ruin, laments its decay after the departure of the Romans. until mighty wyrd made an end to all that. 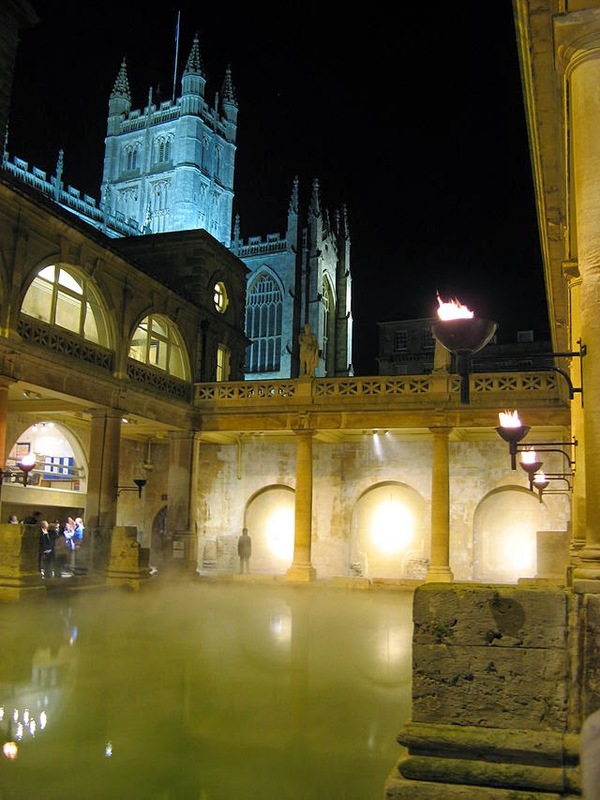 But Aqua Sulis rose again when, in the 9th century Mercian kings, following the example of Charlemagne’s new palace built near the hot springs of Aachen, rebuilt the city and resided there. In the 973 King Edgar would make use of its Roman and imperial prestige to make it the site of his great coronation ceremony as king of all England. 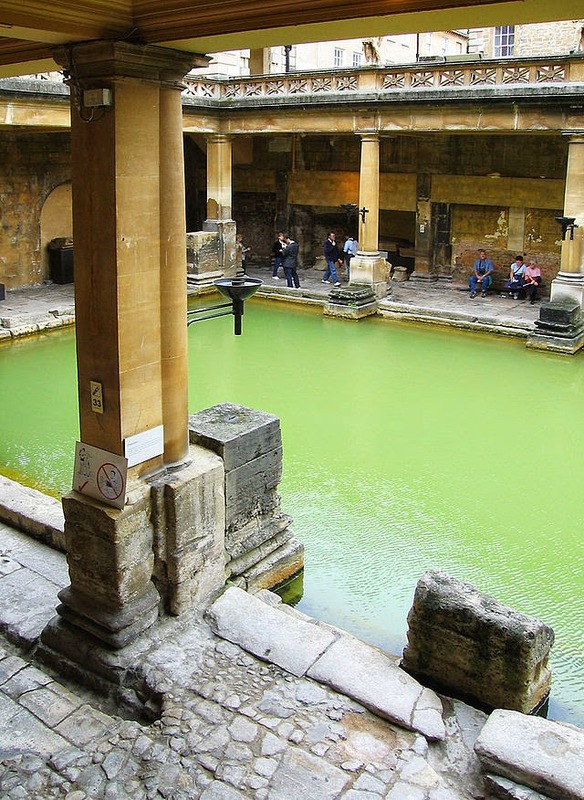 From Aqua Sulis the Roman road continued to Corinium Dobunnorum – (Anglo-Saxon: Cirincester), which was second only to Londinium in its importance to the Romans. It was a center for the production of glass, bricks, tiles, and pottery. It was renowned for its goldsmiths, too. In the 9th century it became a major ecclesiastical center with a huge basilica, although by 1086 little was left of it. Like Aqua Sulis after the fall of Rome, it dwindled to near nothing. The final stop on the Fosse Way was Lindum Colonia. 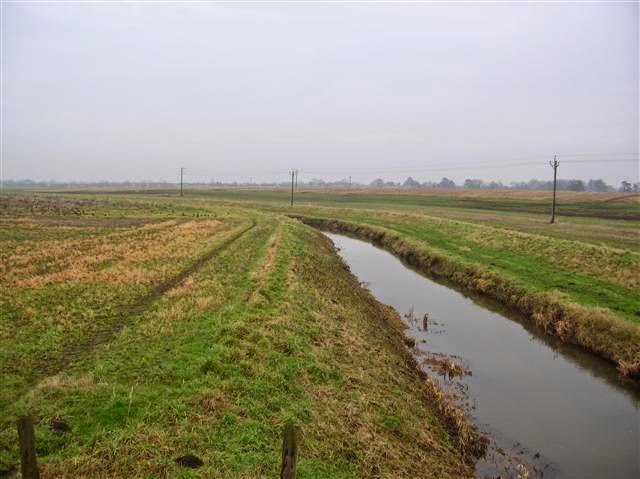 Lindum is a Latinized form of the Brittonic word lindon, meaning lake, and referred to a large pool formed there in the River Witham. 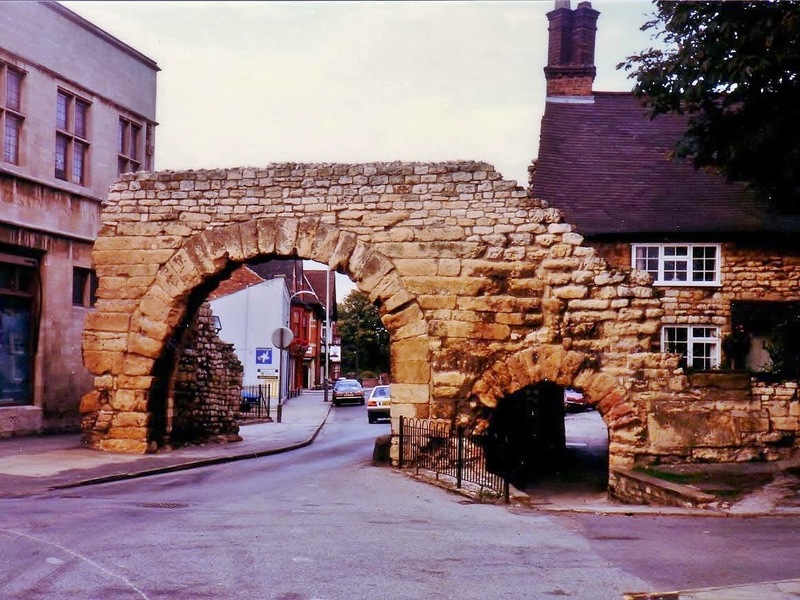 The Anglo-Saxons shortened Lindum Colonia into Lincoln. The Romans built a forum, temples and baths there. It would become a major international port under King Cnut and, no doubt, the goods traded with Scandinavia and north-eastern Europe made their way into southern England via the Fosse Way. Blair, Peter Hunter. Roman Britain and Early England. New York: The Norton Library, 1963. Hill, David. An Atlas of Anglo-Saxon England. Toronto: University of Toronto Press, 1981. Lapidge, Michael, ed. The Blackwell Encyclopaedia of Anglo-Saxon England. Oxford: Blackwell Publishing, 2004. Mills, A.D. Dictionary of British Place Names. Oxford: Oxford University Press, 2003. Patricia Bracewell's debut novel Shadow on the Crown, the first book in a trilogy about the 11th century queen of England, Emma of Normandy, is available in Britain and the U.S. The sequel to Queen Emma's story, The Price of Blood, will be released in 2015. For more information, please visit her website, www.PatriciaBracewell.com, look for her on Facebook at PatriciaBracewell/Author and on Twitter she's @PatBracewell. This was so interesting. I've been to Bath. How intriguing to learn more about the city it once was. I also had never realized that the Romans built only straigh roads, no curved ones. Thanks for the book information as well. Coincidentally, the old Roman word for ‘ditch’ is fossa. Another old English word for ‘ditch’ (as well as ‘moat’ and ‘embankment’), by the way, was dīc. Great article...how awesome is it that some of the road remains to this day...!